Unleash the potential of Social Media and use it to Grow your Business! ▶︎Do you have a Facebook / Instagram Page and want to make sure you get the most out of it? ▶︎Want more confidence and learn top tips on what & how to post? ▶︎Grow your reach, get new likes, new customers? ​▶︎Is it still possible without paying or should you start advertising? You can have it ALL with this workshop! We are excited to bring you the very best of the industry that will definitely get you motivated for the new year. ​Walk away with a full action plan of DOs & DON'Ts and learn about the latest updates, trends and creative tips to take your business to another level. The workshop will focus mainly on Facebook and Instagram, however, many of the tips can be used for other social media platforms as well. have a business Facebook/ Instagram Page set up and you are confidently using the main platforms at a basic level. are looking to learn about social media techniques that will bring you results. want to hear about the latest trends and stay up-to-date on the latest changes in algorithms that affect your social media presence. The workshop will cover all the crucial information on how to use social media to promote your business in the most efficient way. You will take away proven strategies and best practices you can apply right away for your product/service. ​By the end of the training, you will have a solid understanding and ready to use tips and tricks to confidently use social media as a tool to take your business to another level! An amazing opportunity to network & cooperate with other businesses, share best practices and form new partnerships, in a supportive, friendly environment. * The workshop includes a complimentary audit for your Facebook & Instagram Page. Today, as a digital diplomat, she helps businesses raise their profile, share their stories and promote their brands through social media. Hear what participants from the previous course loved about The Ultimate Social Media Workshop! ​Scroll down for more testimonials. Learn the key pillars of a must-have Social Media Strategy that will help you bring results and visibility. You will draft your own mini strategy as we go, and get top tips to optimise your Page. Build solid foundations, learn the DO’s & DON’Ts, and get all the essentials sorted for a spot on business page that drives engagement. Understand the difference between organic and paid reach. You will also get an intro into advertising and how to boost a post. 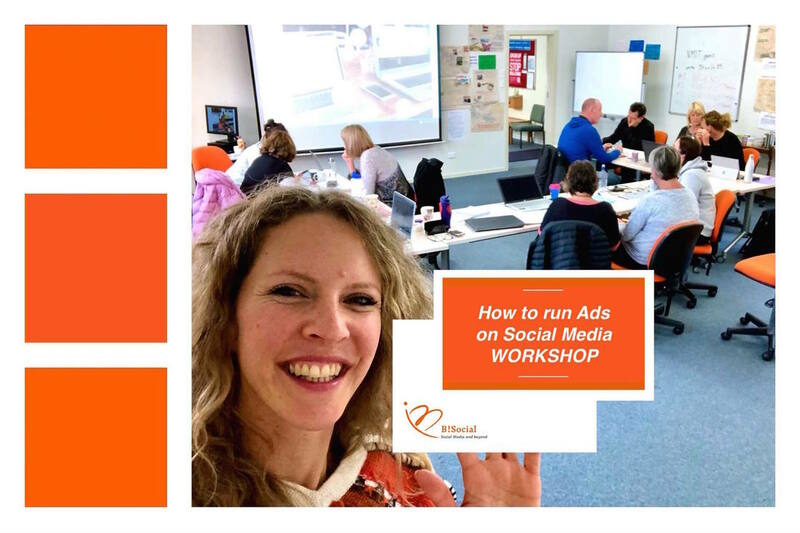 If you want to learn more about advertising, we have a special course on Facebook & Instagram advertising, too. Yes, you can be one of those businesses who can tell and sell their story in a creative way. ​We will show you how to create eye-catching photos and videos with your smartphone. You will learn tricks to showcase your product/service with some awesome and free apps, as well as Facebook/ Instagram Stories. Learn how to master your smartphone to leverage social media. She is approachable, communicates clearly, listens, and never makes you feel as though you are asking silly questions. She also continues to support me with ideas and opportunities now the sessions have finished. 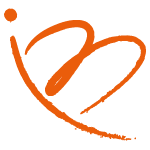 Thank you Bea and B Social - I was lucky to have found you! I've attended one of Bea's Social Media workshops where I was able to benefit from her excellent knowledge, presentation skills and workshop facilitation. I highly recommend Bea for anyone needing help with their social media platforms. I'm extremely grateful for her ability to listen and problem solve, to stick to my budget, and for her ongoing encouragement. I really enjoyed Bea's social media course because it gave me the confidence that I was on the right path. I've come away with the learnings that I've implemented in my business. My posts are getting great reach now, great direction, lots of engagement. Well worth it! Thanks Bea! It was very helpful, I learned a lot. Good luck everyone! Many thanks for sharing your knowledge and enthusiasm for social media. Thank you Bea for sharing your knowledge with us and for being available to answer my questions. The workshop was very helpful. I got lots of ideas and I am very happy to put them into practice. I can't wait! Thank you! Thanks Bea so much learning. Such a lovely teacher, thanks bunch! Thank you! Great content and lots to think about. Thank you Bea, you are fab. Love working + learning with you. Love your energy, information and your workshops! Fun learning space! Thank you for your investment in us! Thanks for a great course and your encouragement & enthusiasm. The course was great, it really made me a lot braver about actually trying to use social media for my business. I have tried lots of new things since I did the course, and there are heaps more that I am going to try. It's great! Oh, and did you know that Facebook & Instagram is becoming a Pay to Play platform? ​Up your new skills even more and learn how to reach more customers by taking advantage of the targeted advertising options. ​Register now for this follow up workshop, too! Learn how to leverage advertising and target your customers in the most efficient way. > Create successful advertising campaigns to reach your customers and get leads.